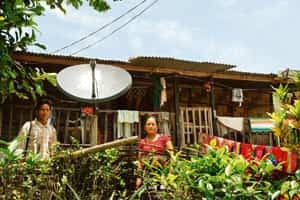 New Delhi: The government is considering raising the cap on foreign investment in direct-to-home (DTH) satellite television operators to 74% from 49% now, a senior official said on Wednesday. DTH serves a small portion of the Indian television audience, and research firm Media Partners Asia forecasts the sector will expand to 25 million subscribers by 2012. Verma said the ministry may also reduce the revenue DTH firms have to pay the government. Shares of DTH operator Dish TV India Ltd extended gains after the news to rise 4.2%. However, the scrip closed 0.18% down at Rs27.05 on the Bombay Stock Exchange. Telecom company Reliance Communications Ltd, state-owned Prasar Bharti, SunTV Network Ltd and a venture of the Tata group and News Corp. compete in the DTH market in India. DTH companies have to pay 10% of their annual gross revenue to the government, but they have been asking for that to be reduced to 6% of adjusted gross revenue, which is the revenue they get from broadcasting operations alone. The firms’ stance was upheld by the sector tribunal, and Verma said the government was studying the judgement.